Allan Leighton started his career in Mars Confectionery as a Salesman in 1974. He worked his way up through the company before leaving in 1991. He then joined Pedigree Petfoods, where he was Sales Director until his appointment in 1992 to Asda Stores Ltd. Allan began his career in Asda as Group Marketing Director and was appointed Chief Executive in September 1996. There he was credited with turning around what he once described as a basket case into a highly successful company that was sold to US retail giant Wal-Mart for £6.7 billion in 1999. In November 1999 Allan became the President and CEO of Wal-Mart Europe. In November 2000 Allan Leighton left Asda and developed a new work ethic – ‘Going Plural' – as he took on non-executive positions in a string of companies including lastminute.com, Leeds United, Bhs, BSkyB and Selfridges. Allan is former Chairman of the Royal Mail Group, and Deputy Chairman of Selfridges & Co and George Weston Ltd, President of Loblaw Companies Ltd, and Non Executive Director of BSkyB Group plc. 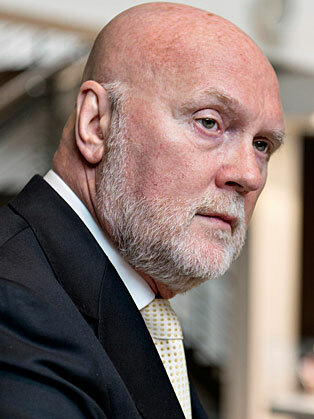 He was CEO of the Danish jewellery company Pandora until February 2015 and is currently Chairman of the Co-Op.